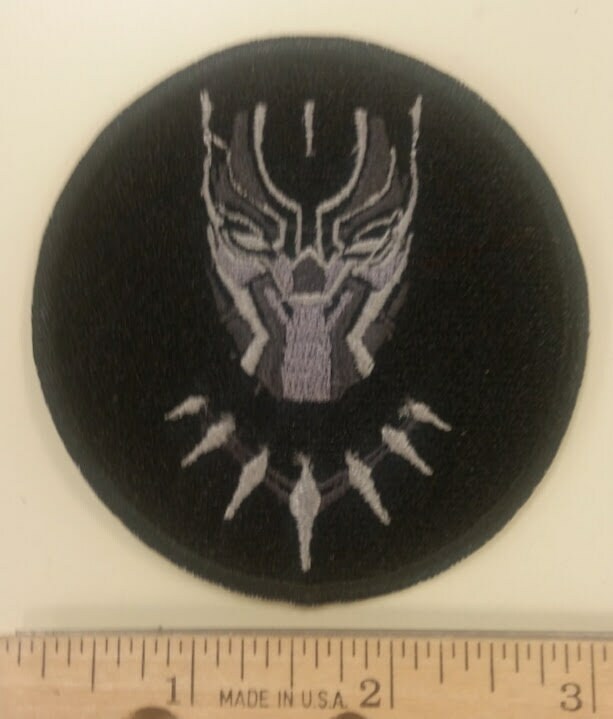 This Black Panther inspired patch measures approximately 3" in diameter. 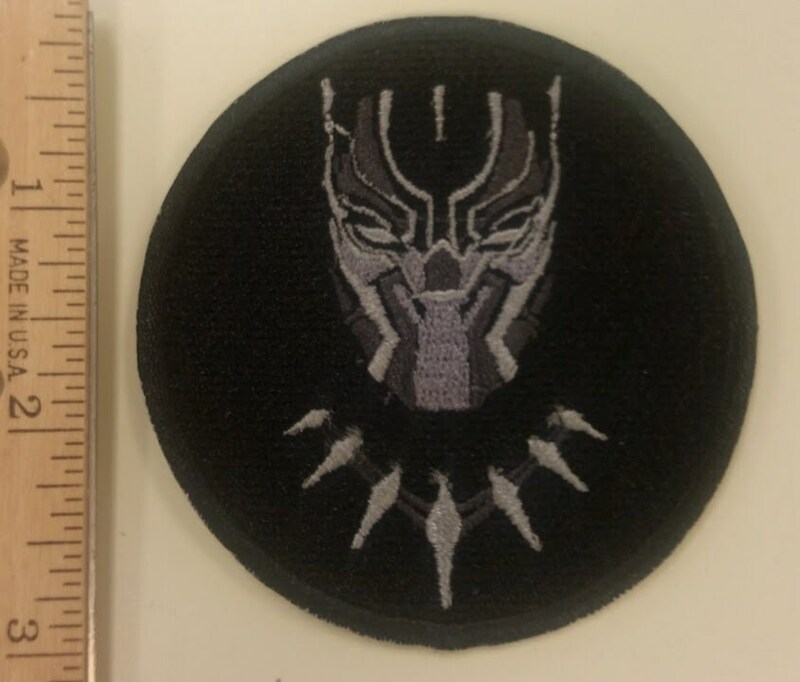 It is sewn with black and gray thread. 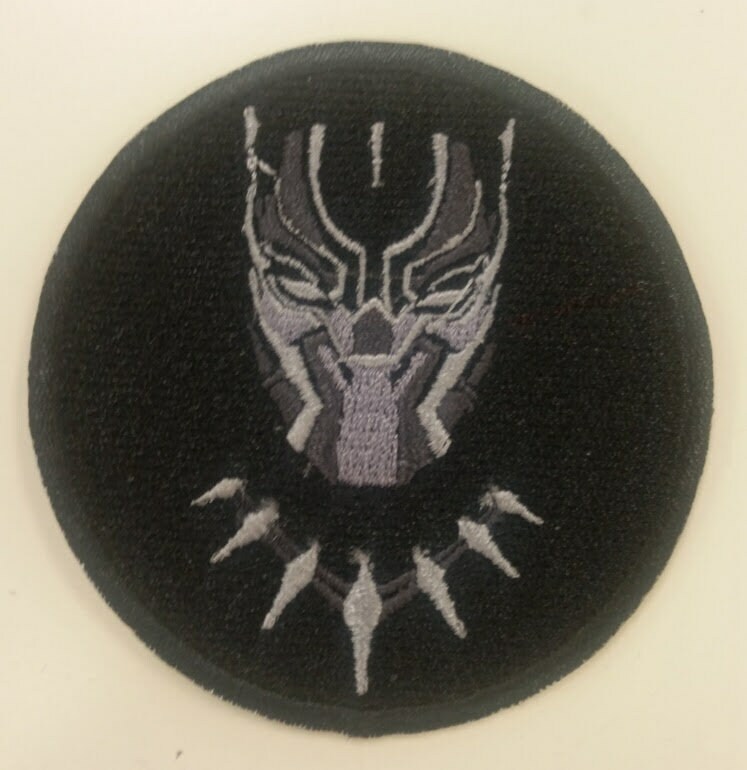 It has an iron on adhesive to make application easier.